A kicked Fight with Fire secures Braham Thomas, on Mono-Red Aggro, his first GP win! THE HASHTAG FOR GRAND PRIX PITTSBURGH IS #GPPITT. JOIN THE CONVERSATION. At the end of Round 15 of GP Pittsburgh, only eight players could carry on. Entering the Top 8 were Braham Thomas, Morgan McLaughlin, Scott Matthews, Jack Kiefer, Zach Allen, Oliver Tiu, Mike Sigrist, and Paul Dean. Their decks included two Black-Red Aggro, Mono-Red Aggro, Blue-Black Midrange, White-Blue God-Pharaoh’s Gift, and Esper, white-blue, and blue-black flavors of control. The finals came down to Braham Thomas, from Saint Charles, Illinois, on Mono-Red Aggro, versus Oliver Tiu, the 2015-2016 Rookie of the Year and Constructed Master, on Blue-Black Midrange. In game one of the finals, it looked as though Tiu might stabilize when he exiled Thomas’s Hazoret with a Vraska’s Contempt that left him at three life. A few turns later, however, Thomas had the lands he needed to eternalize an Earthshaker Khenra, and Tiu, without an answer, conceded. In game two, Tiu couldn’t seem to get off the back foot, despite Thomas’s fairly slow start. While a Yahenni’s Expertise from Tiu kept the board clean, a Chandra for Thomas provided card advantage and a lingering threat. 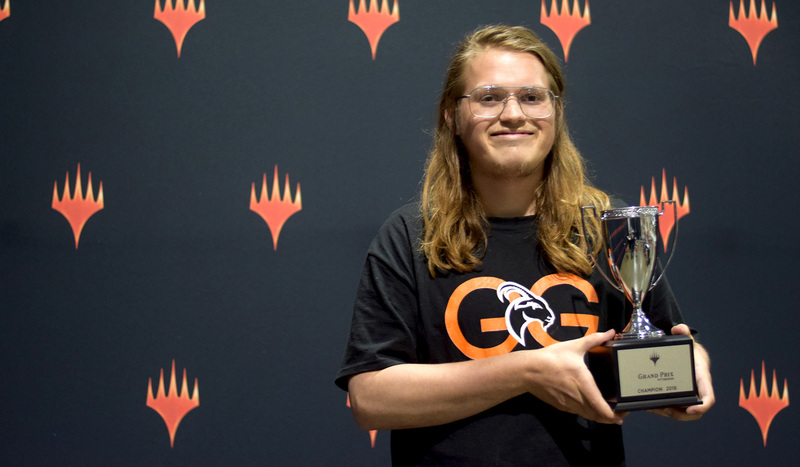 Thomas brought the whole tournament to an explosive conclusion when he used Chandra to make the mana he needed to cast a kicked Fight with Fire, targeting Tiu for lethal. Congratulations to Braham Thomas, winner of GP Pittsburgh! To answer the question "Are Goblin Chainwhirler decks still the best decks in Standard?" is beyond the range of one tournament—and Pittsburgh's Day 1 undefeated results reflected a room full of people on—and against—the plan. Of the nine undefeated players on Day 1, four played Goblin Chainwhirler. The rest leaned hard into control. Nobody seemed to agree on what the solution was but everyone was ready to fight for it. To find the answer players will return for Day 2, with live coverage beginning at 9 AM EDT on twitch.tv/magic—don't miss it!